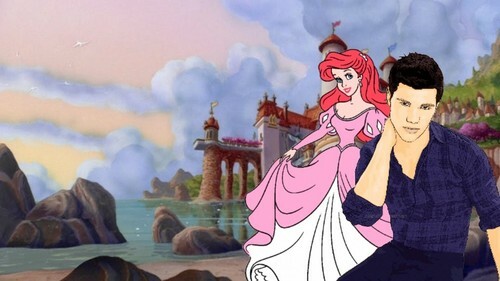 Ariel & Taylor Lautner. My favorito! disney Princess with the prince of my dreams my TDL :). HD Wallpaper and background images in the disney crossover club.